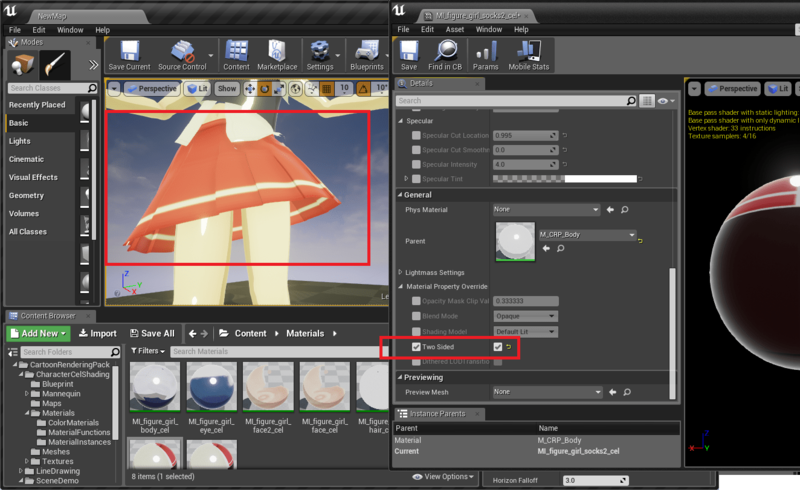 After adding a character and changing its materials, often, there might be one more additional necessary step, which is handling two-sided materials. 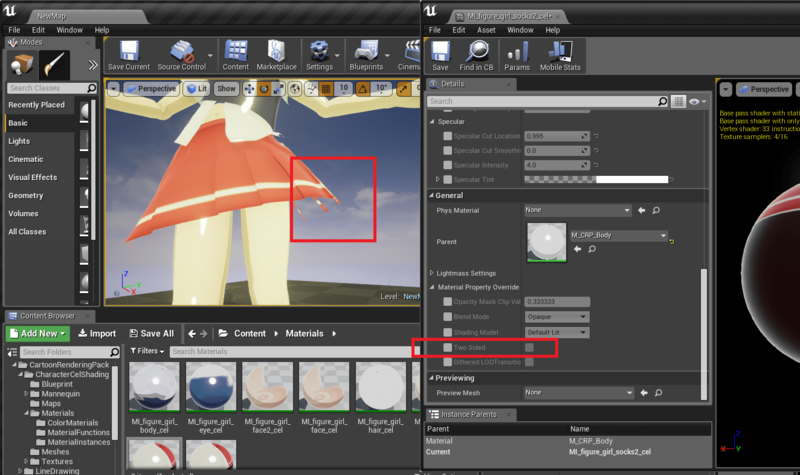 In our first scene, for example, the character’s skirt needs to have a two-sided material. To do so, We override the “Two Sided” material property of the “MI_figure_girl_socks2_cel”. By checking the Two-sided check box, the skirt becomes two-sided. We finished the initial setup of the first cartoon rendering scene. In other getting started documents, we will discuss handling the shading paramters to achieve the desired cel shading look. We also changed the shirt (MI_figuregirl_body_cel), hair (MI_figuregirl_hair_cel) to be two-sided.